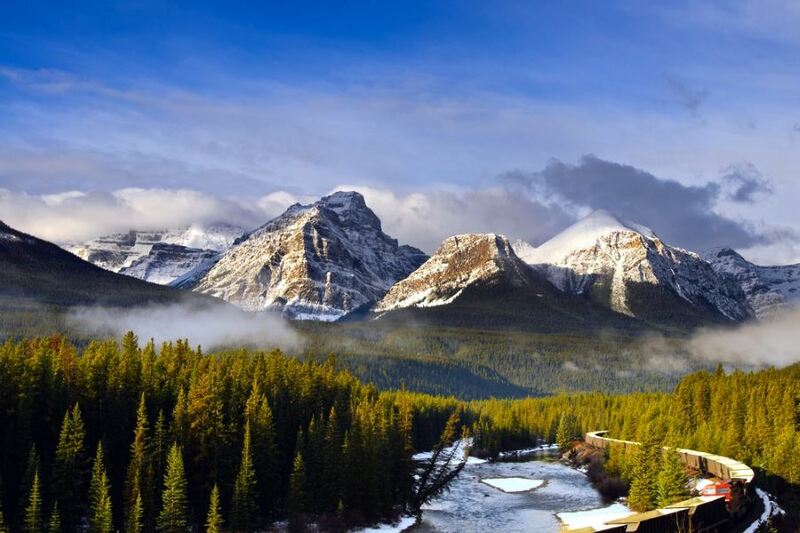 Linking two of Canada’s most spectacular natural wonders – Banff and Jasper National Parks – you’ll find the Columbia Icefield and the Icefields Parkway. 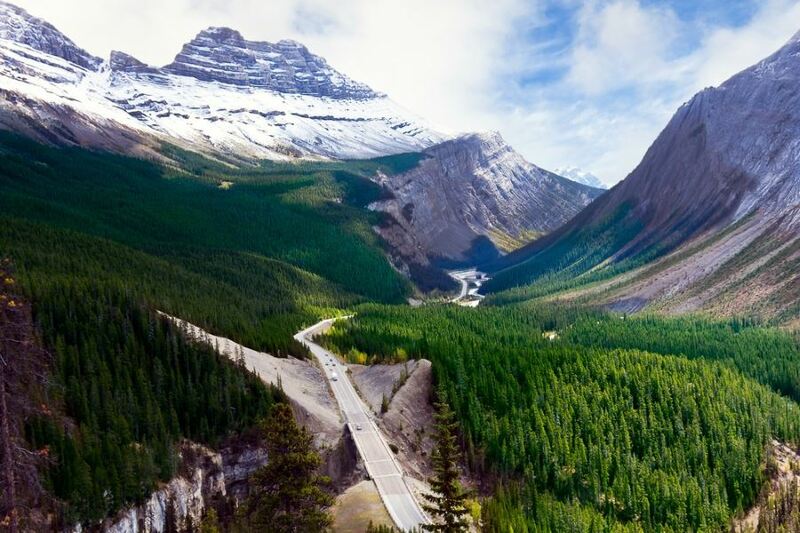 The Icefields Parkway is perhaps one of the most stunning roadways on the planet, offering out-of-this-world sightseeing opportunities. 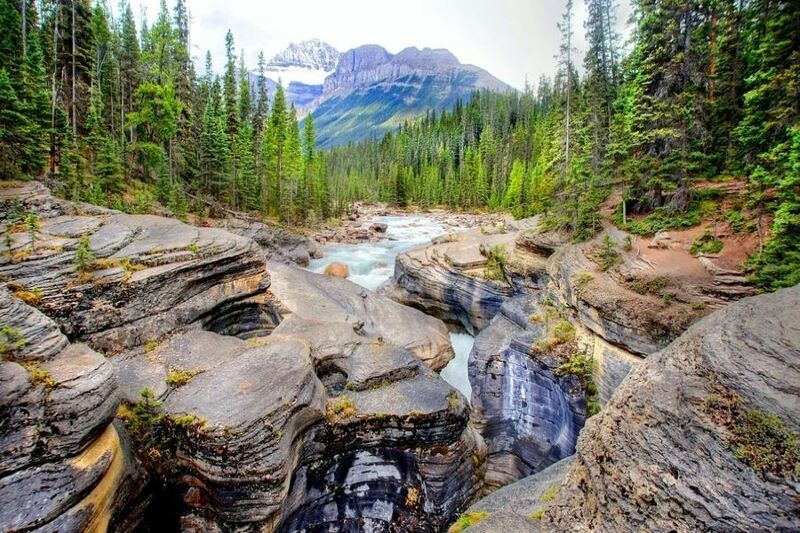 This 232 km stretch passes through more than 100 ancient glaciers, magnificent cascading waterfalls, turquoise lakes and intense rock formations – held together with a glue of thick pines, sweeping valleys and larch forests. Whether you’re just planning to visit Lake Louise, Banff, Jasper (or all three), a visit to the Icefields is a must. 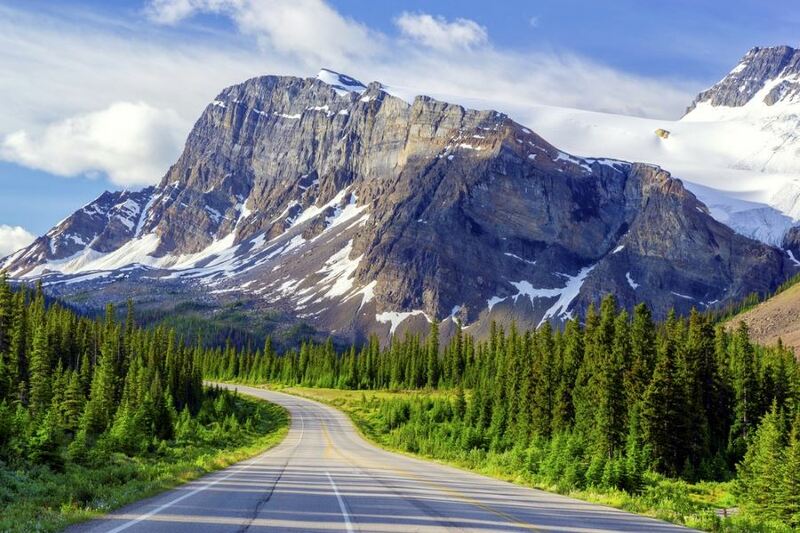 The Icefields Parkway, also known as Highway 93, travels from the Trans-Canada Highway (Route 1) in Banff to the south up along the Continental Divide to Jasper and Route 16 in the north. While simply traveling this road is an adventure in itself, there are also a ton of hiking opportunities en route. Here we’ll take you through the basic overview of hiking in the Icefields – including how to get there, where to stay, where to eat, what to see and what to watch out for. You can reach the Columbia Icefields and the Icefields Parkway via either Calgary International Airport, roughly 300 km (185) miles away, or from the Edmonton International Airport (YEG), roughly 385 km (240 miles) away.  Both airports service regional and international flights, as well as rental car services (recommended to explore the region on your own time). We prefer flying into Calgary as it’s a much nicer drive. You can visit the Icefields and the Icefields Parkway throughout the year. Snowfall can happen during all seasons, and in summer the road sees more than 100,000 vehicles per month. During the warmest months temperatures are mild, the lakes have finally unfrozen and all hiking routes should be opened. When the leaves start to change and autumn arrives expect cold weather with the possibility of snow. This is one of the least crowded times to visit, but the climate is unpredictable, so make sure to pack layers. Winter is a popular time to hit the slopes in nearby Banff and Jasper, so you may expect a pick up of activity during these months. Just keep in mind the gas stations and other buildings along the Parkway are closed from October to May. As well, the road may be closed after heavy snow. Make sure you check the most up to date information and gas up before you go! 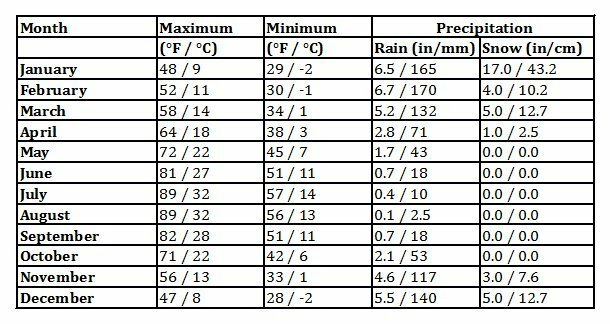 Spring weather is similar to that of fall – highly volatile. You may experience a blizzard in the middle of April or bask in the warming sun. This is a great time of year to spot wildlife as they emerge from their winter slumber and hotel prices are typically cheaper. There best option to explore the Icefields is with a private car. This way you can stop, explore, and travel at your own pace. 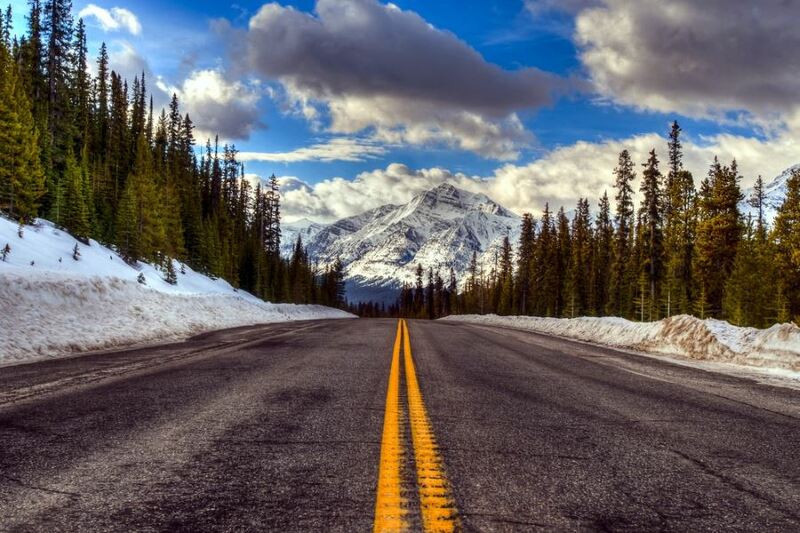 If you don’t have access to a car – either by driving your own or renting – it’s also possible to take a guided tour of the Icefields Parkway. There are many companies that offer tours, but they can get pricey. We recommend weighing the costs of a rental against a private tour. All our hikes require a car to access the hikes. 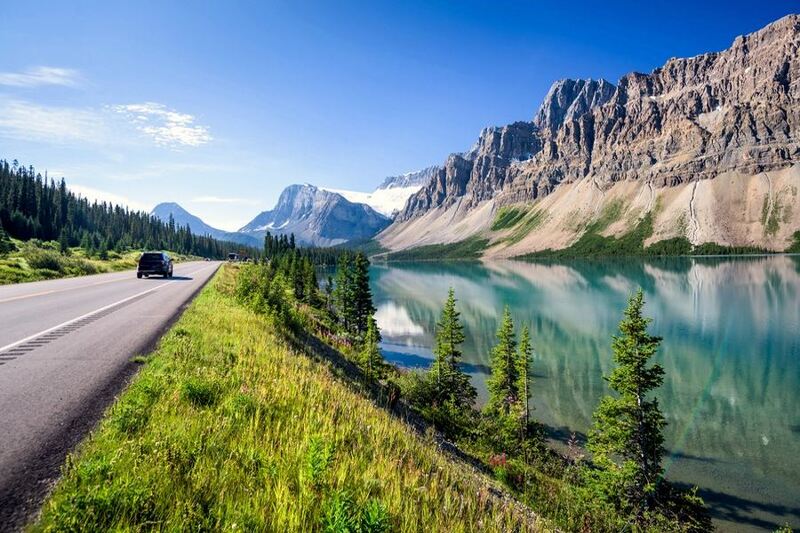 The drive from Jasper to Banff on the Icefields Parkway takes roughly three hours. You could easily make this in one day, but we recommend taking it slow and immersing yourself in the magnificent scenery the Icefields has to offer. The close proximity to Banff, Lake Louise and Jasper imply that you’ll never be without a wide variety of accommodation options, but there are also some lovely secluded selections to choose from along the way. About 50 miles south of Jasper town along the Icefields Parkway you’ll find the Sunwapta Falls Rocky Mountain Lodge. 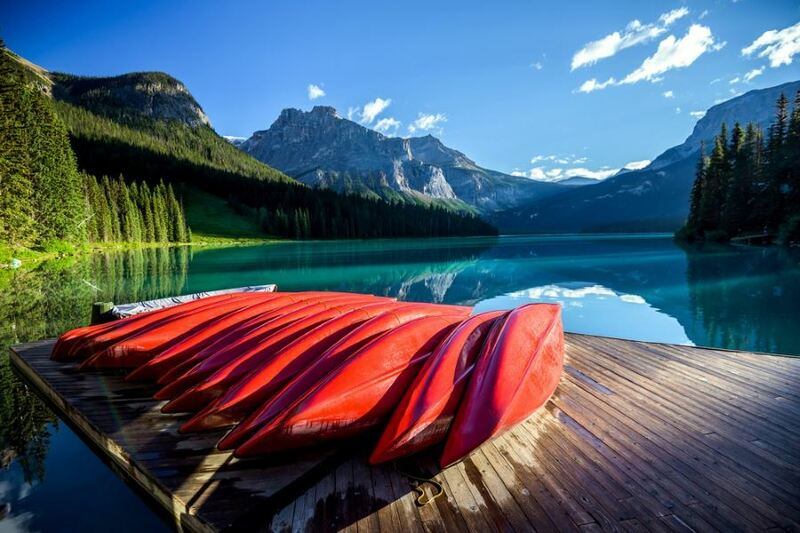 They offer cabin style rooms within walking distance of a number of exciting activities such as hiking trails and wildlife viewing in the heart of Jasper National Park. Roughly 50km further south you’ll find the Glacier View Inn. This hotel – located on the top floor of the Glacier Discovery Centre boasts spectacular views of the Athabasca Glacier. 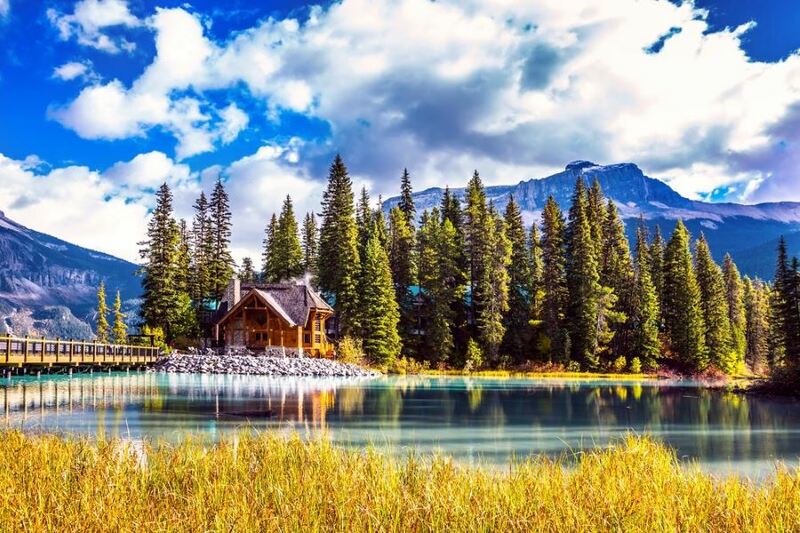 Another great option along the Parkway is The Crossing Located within Banff National Park, they’ve been serving customers for more than 70 years and the hotel itself is surrounded by trails marked and maintained by Parks Canada. In addition there are many small cabins located along the Icefields Parkway that offer affordable accommodation in a secluded setting. We recommend the Overlander Mountain Lodge. Here you can choose from single suites or multi-room chalets. They offer a gourmet dining experience at their Stone Peak Restaurant and a number of events and activities for guests. In Yoho National Park we love staying at Emerald Lake Lodge. This stunning historic lodge sits on a beautiful mountain lake and has a lot of charm. You can hike directly from your cabin. Be warned though, cellphones don’t work here and there are no TV’s! We love it here, but some people miss their electronics. You can also find quaint B&B’s in the small town of Field, BC. We love Truffle Pigs Lodge as it has pleasant rooms and a wonderful restaurant! There are also a few places to camp along the Icefields Parkway. 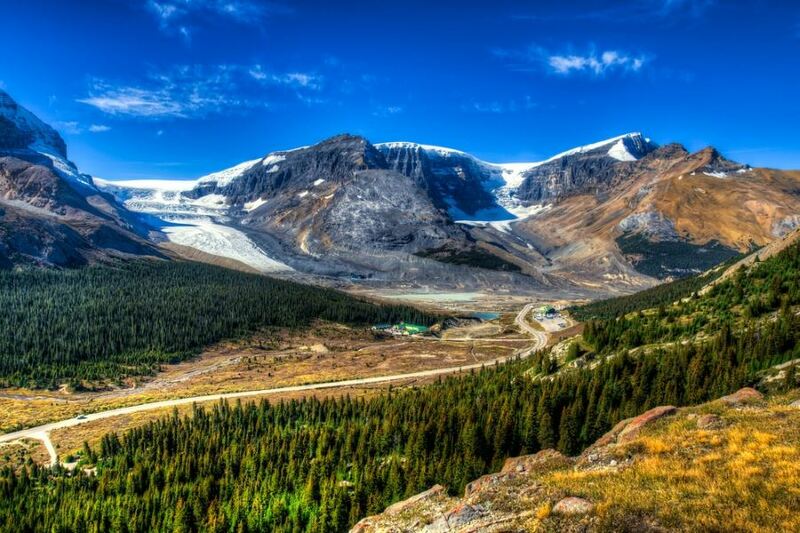 The Columbia Icefields Campground is just steps from the spectacular glacier views the region is famous for. Rampart Creek is another great option – offering a rustic experience in a quiet forested area along the Parkway. 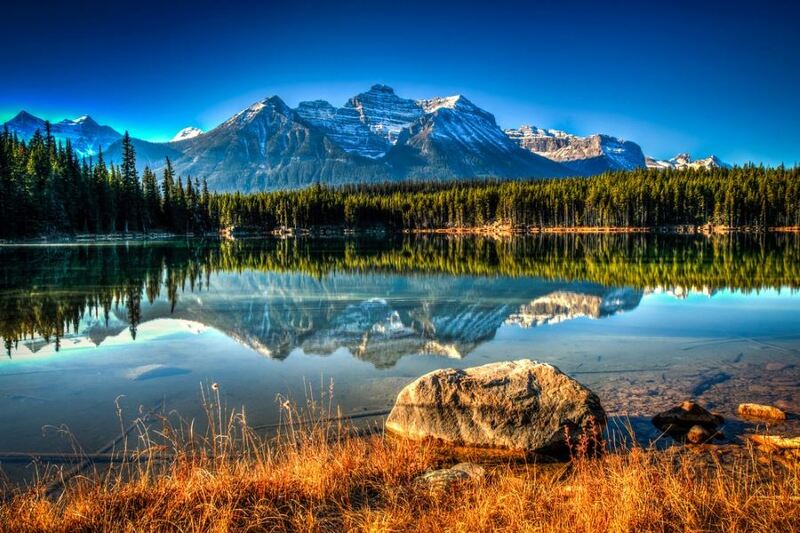 For more information on booking visit the Jasper and Banff National Park websites. There is just a few eating options along the Icefields Parkway. If you’re looking for more variety, head to Banff, Lake Louise or Jasper. The Num-Ti-Jah Lodge has both a sit-down dining room (Elkhorn Dining Room) and a grab-and-go coffee shop (Bow Lake Café). You can order freshly made soups, salads sandwiches to go here. Another food option along the way is The Crossing. They have three options – all casual. The Crossing Cafe and the Mount Wilson Restaurant serve meals in a buffet style. Lastly, the Parkway Pub offers beautiful outdoor views of the surrounding area and a variety of grilled foods. For something more upscale, head to the Altitude Restaurant, located at the Columbia Icefield Discovery Center. Here, Executive Chef Martin Brenner offers a refined selection of dishes using locally sourced ingredients for each meal (a la carte for breakfast and dinner, and buffet style for lunch). For the finest dining on the Icefields Parkway stop in at the Sunwapta Falls Restaurant. Everything is made in house and they offer a wide selection – from the AAA New York Steak to fresh deli sandwiches during lunchtime. In Yoho, we recommend eating at Truffle Pigs Bistro. Lake Louise is also a 20-minute drive away, which opens up more culinary pleasures. Hiking is by far the most popular activity along the Icefields. There’s quite simply so much to see here! To gain a new perspective, however, check out the Glacier Skywalk. 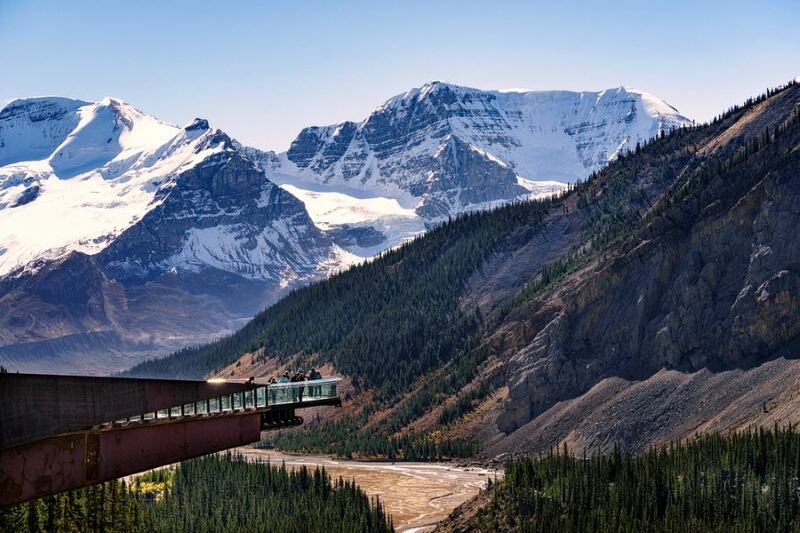 This unique observation point puts you 280 meters (918 feet) over the expansive Sunwapta Valley. 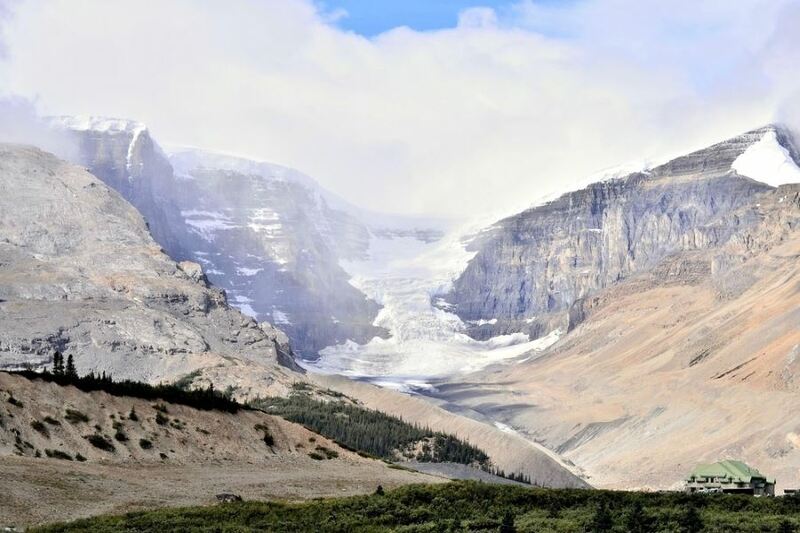 For a more in depth exploration, hop on the Columbia Icefield Glacier Adventure. Each tour takes you through the areas most magnificent glaciers, including allowing you to get out and walk on these ancient formations (never do this without a professional guide). To celebrate 150 years of Parks Canada entrance is free to all Parks Canada locations in 2017 – that includes Banff and Jasper! The road may close after heavy snowfall, make sure to check out the most up to date information.